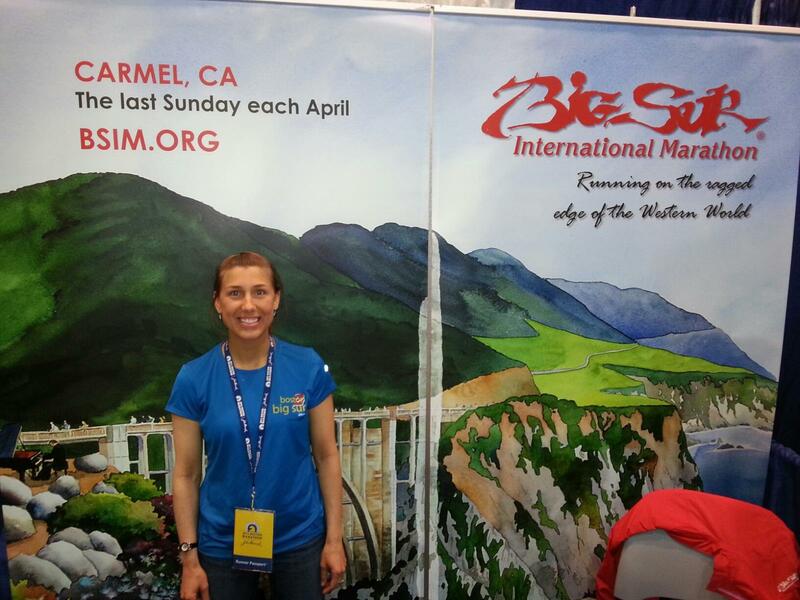 I am currently in California for the Big Sur Marathon that takes place on Sunday, April 28. I just wanted to share how everyone at the Big Sur race expo is paying tribute to Boston. 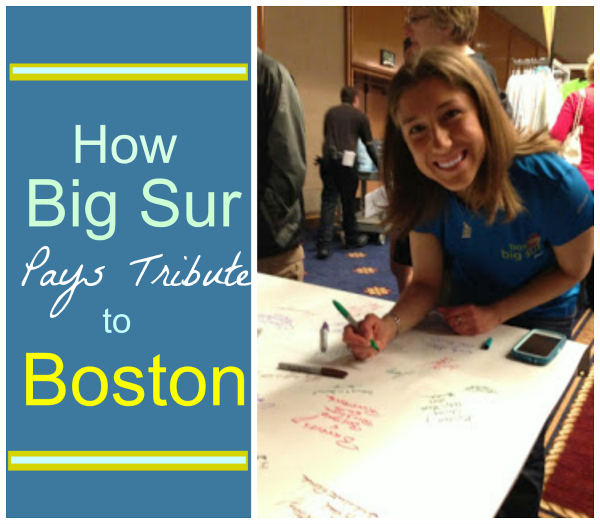 I got to work at the Big Sur booth and we were giving out these great Boston Tribute shirts for a twenty dollar donation! Here is what the T-shirt looks like. The people are so great here and willing to donate that we sold out of shirts in about two hours. 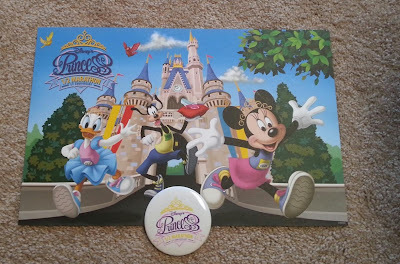 We also had pins too! 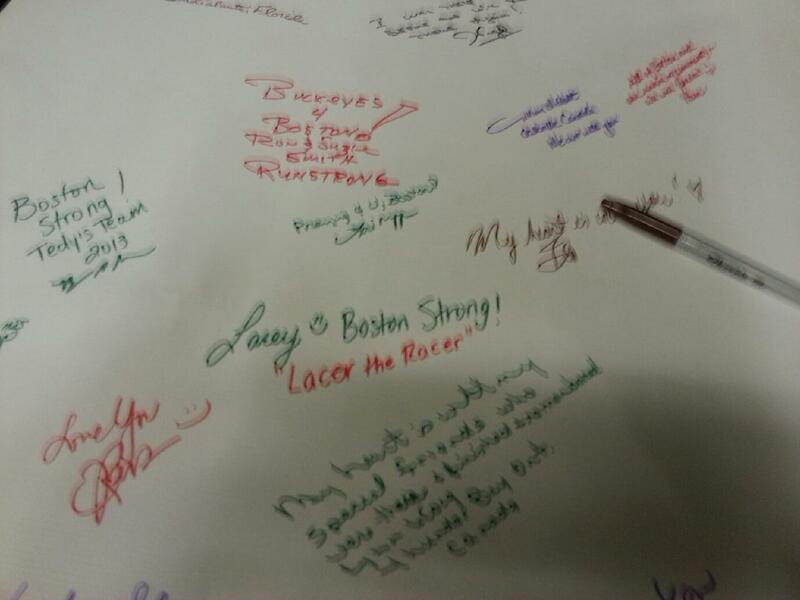 Another thing we had here was a Boston tribute banner that we got to sign! 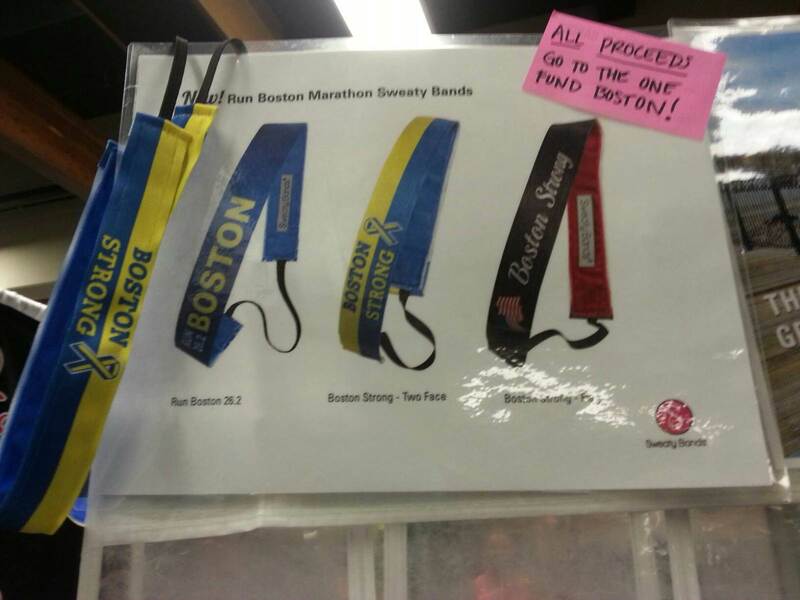 Sweaty Bands was also paying tribute to Boston with their newly designed bands. 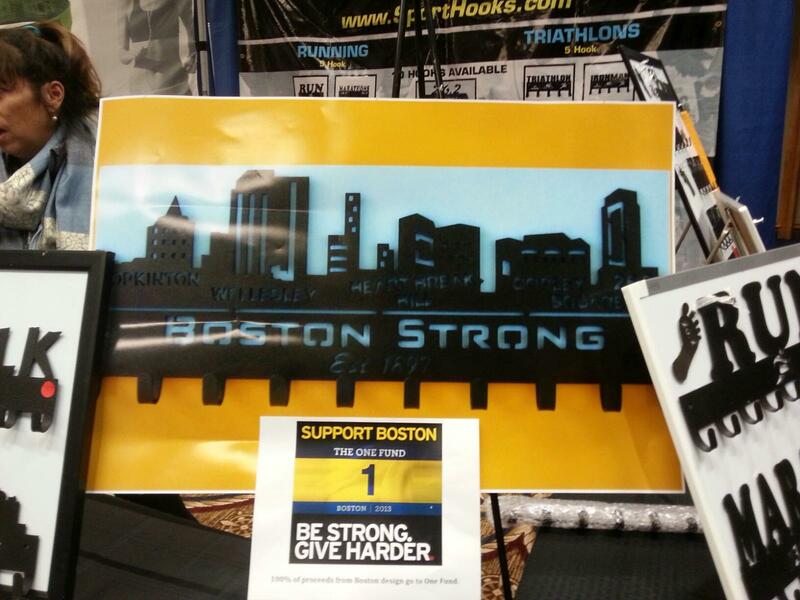 They are also selling these Boston Medal displays. 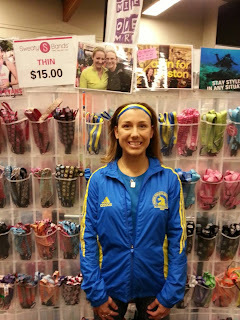 Medal displays are from Sporthooks. Can't wait to share the rest of my experience in Big Sur. 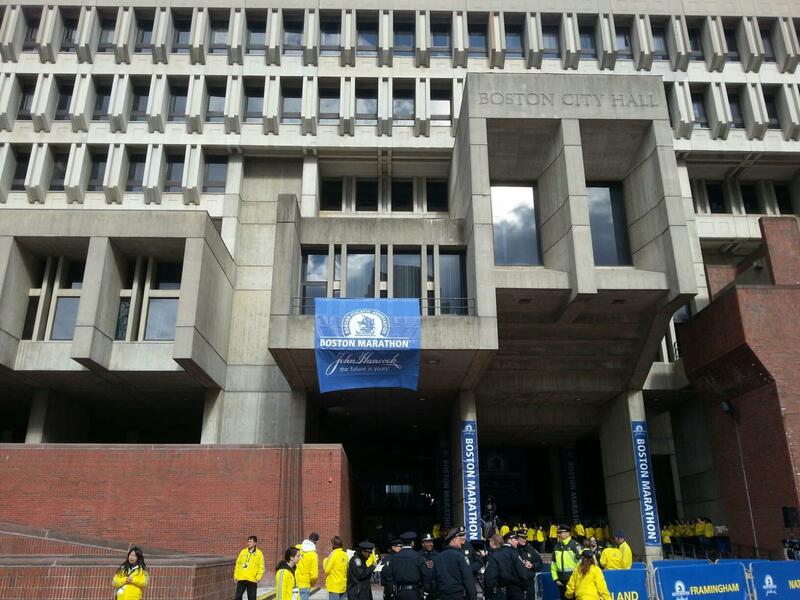 My sympathies go out to all those that were effected in the tradgedy that came during the Boston Marathon last Monday. At least after hearing the news this weekend we can all breathe a sense of relief and bring some closure to the outcome. 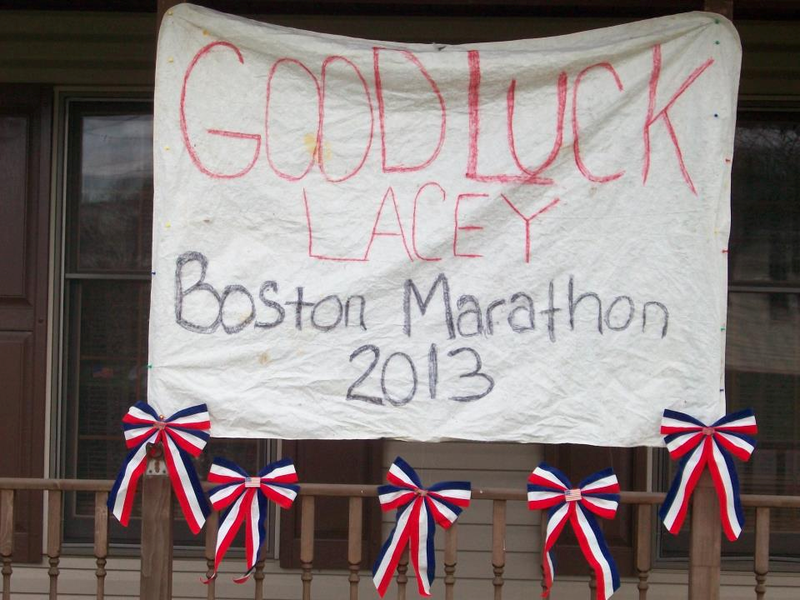 We are runners and will stay strong and get through this together! Happier times are soon to come. 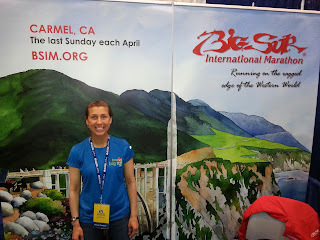 I'm looking forward to running the Big Sur Marathon at the end of the month to meet my fellow Boston to Big Sur runners. 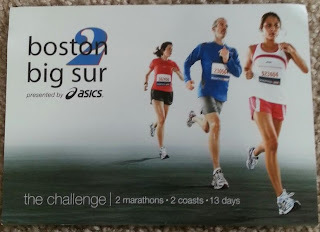 It is called Boston2BigSur Challenge. 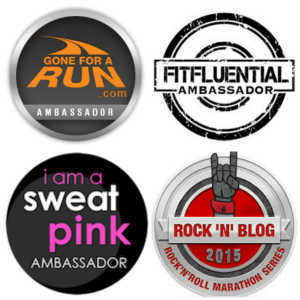 2 marathons 2 coasts 13 days! How are you looking forward? What races do you have on the horizon? 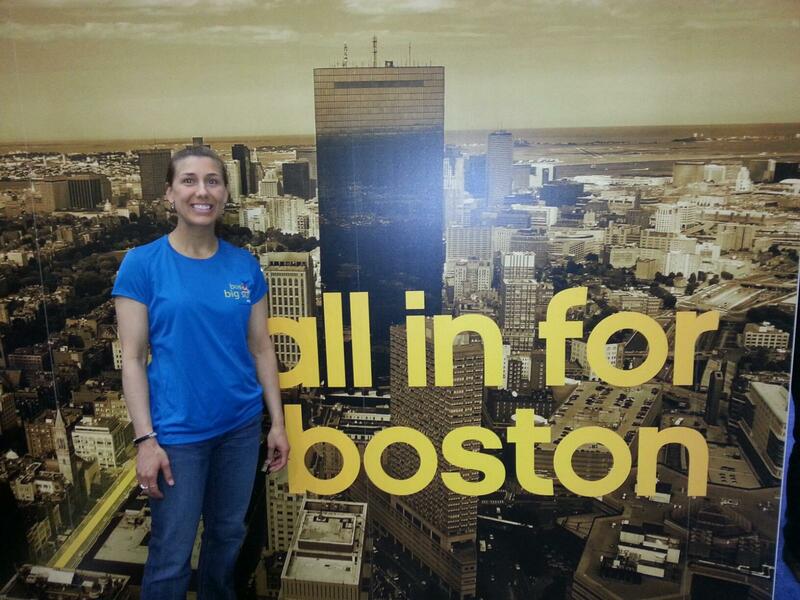 I arrived at Boston Logan International after a long morning of flights. 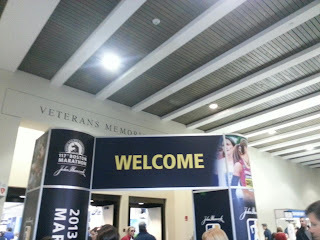 I arrived at 1pm and very anxious to get to the hotel to drop luggage off and head to the expo. I hopped into a cab and said “to the Westin Copley”. The cab driver was driving like a maniac in all the traffic that afternoon, but I wasn't complaining. All the sooner I would arrive at my final destination. Upon arrival, I payed the driver and went to the front desk to get my key. My room was on the 23rd floor with a great view looking over the city. In addition to the great view, it was connected to the Hynes Convention Center, by a skywalk. Great news since this is where the Expo is that I would be going to later. The Expo was more than what was to be expected for sure. It is by far the largest Expo I have ever attended. 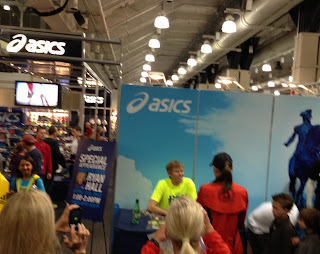 Olympian Ryan Hall was even signing books at the Aasics stand. 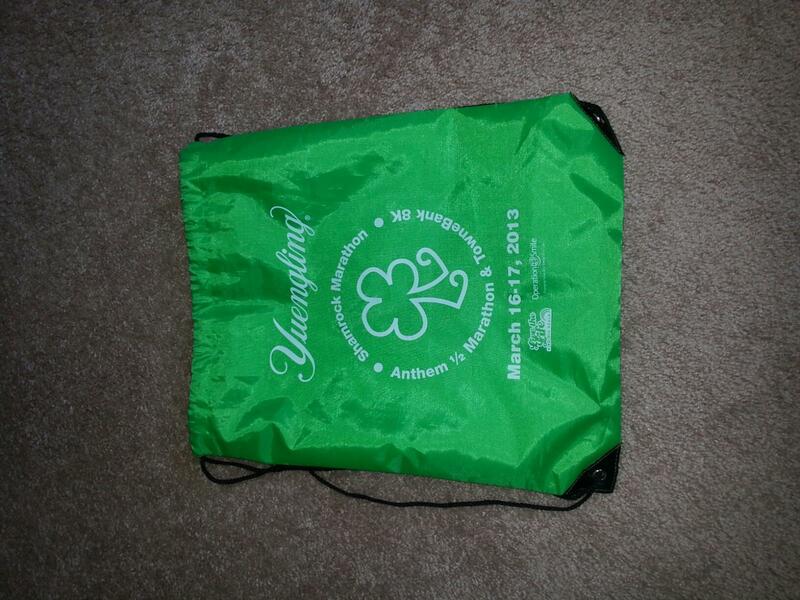 I picked up my packet that had my shirt and race bib in it. 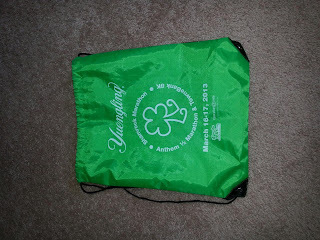 I stopped at the BAAA area that was selling all the additional swag you could purchase. 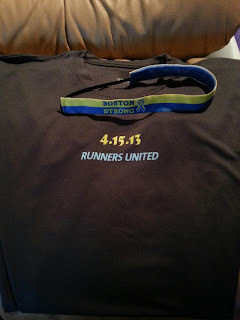 Of course I had to splurge on the official race jacket. 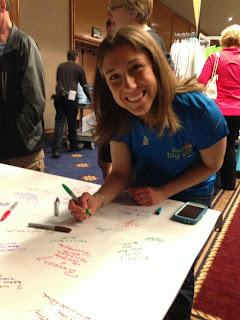 Poland Springs sponsored a booth in which runners wrote what "Better" is. 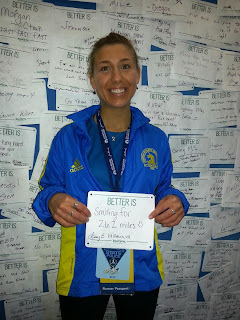 Mine says Better is: Smiling for 26.2 Miles! After stopping at a few other booths, I was pretty tired after traveling all morning, so I was done today, and knew I would come back again tomorrow to see the rest of it. But for now it was time to go back to the room for a nap and to get ready for the Runner's World Party that evening. Listening to the editor of Runner's World speak. I arrived at the Runner's World Party and there were so many well known people in the Fitness Industry such as, Amby Burfoot, Bart Yasso, Dean Karnazes, and even Olympic swimmer Summer Sanders. She was nice enough to get a picture with me and we even discussed that it was the first time running the Boston Marathon for both of us. 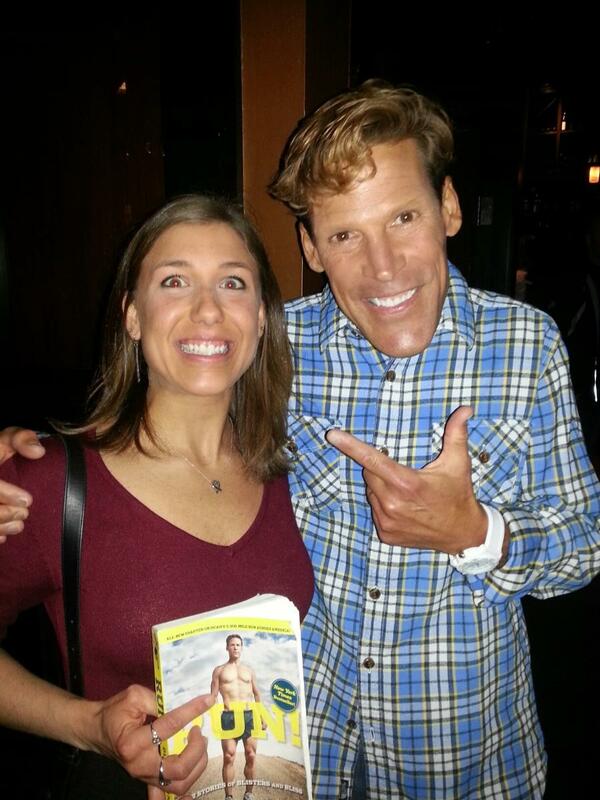 I also got to meet Dean and he even signed a copy of his book for me. I’m looking forward to seeing him again at Big Sur. The next day, it was back to the Expo to see the remaining booths I did not see the day before. I purchased my Boston sweaty band, and a few Boston shirts. I enjoyed all the freebies and snacks that they were offering at many booths. There were so many people there and things to see that it was a bit overwhelming at times. In addition to all the clothing brands and promotional stands set up, there was a section of the Expo that was dedicating just for watching the course of the Boston Marathon. There were bleachers set up and a wide screen for viewing. Everytime I walked past that area, it was packed and I was unable to find a spot to sit. Where people were sitting to watch the race course. The afternoon went by fast and soon it was time to get ready for the pasta dinner. I was to meet my friend downtown at the City Hall Plaza. This is where the pasta party was held. I was told that it was outside, so I came well prepared. After a few subways stops, I arrived at the Plaza. Luckily I arrived early enough that we just had to wait outside until they were letting people in to get their food. We were able to find a table inside. 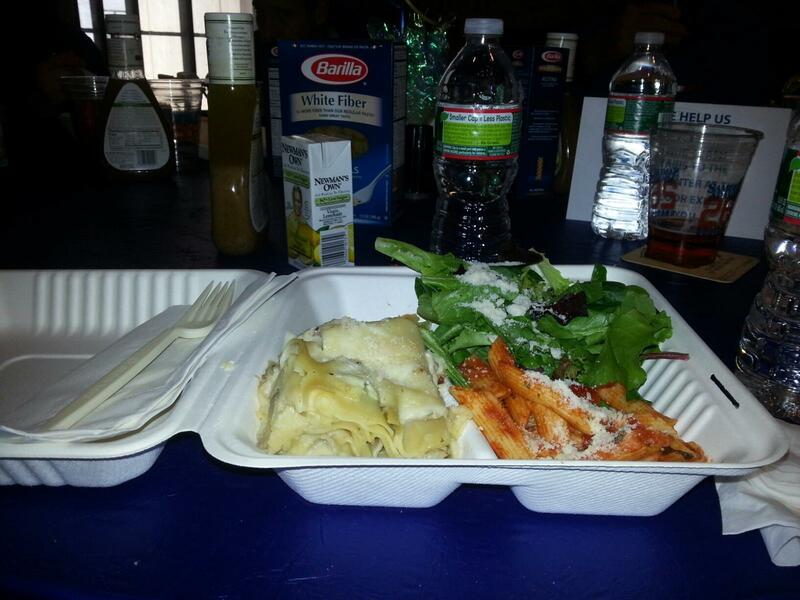 After loading our plates with the assorted pastas, it was time to listen to the speakers. Hi Everyone. 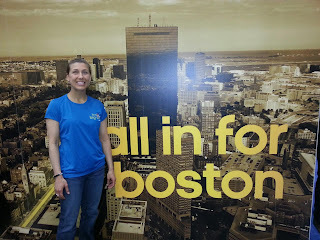 I am home safely from Boston. I will write more about my full experience and the entire weekend later but I at least wanted to comment on the day yesterday. 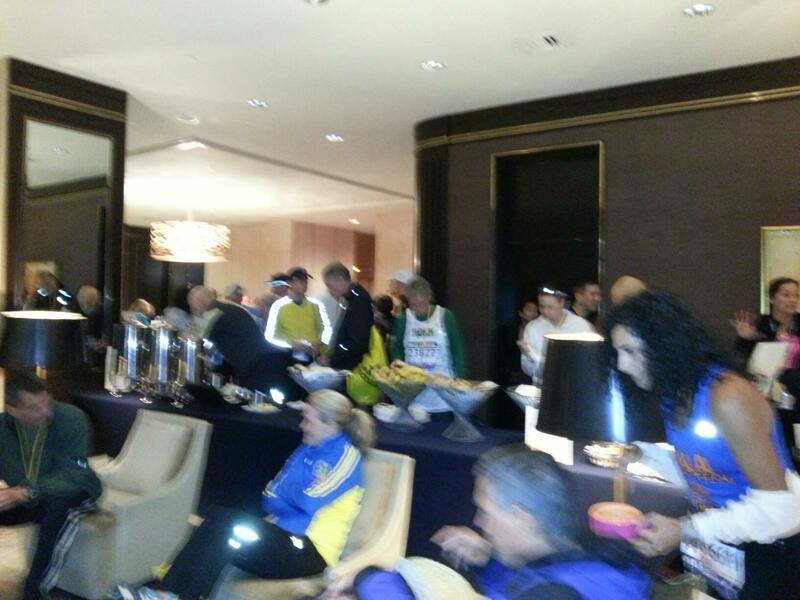 Breakfast set up at the Colonnade hotel while waiting for the charter bus to hopkinton. The bus parked right in front of our corral and we were able to hang out on the bus until our corral started. While we were waiting, there were lines of tables loaded with, waters, Gatorades, Vasaline, sunscreen, chapstick, coffee, snacks, and anything else a runner might need. So far, I thought this was really well organized. We were right were we needed to be by 8:30 a.m and my corral didn't even start till 10:40 a.m. 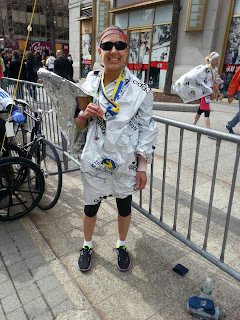 I wasn't checking a bag, so I didn't have to go to bag drop off ( this was key: After the race I was so grateful I decided not to check a bag). Time spent with the fellow racers went so fast and soon it was time for my corral to start. 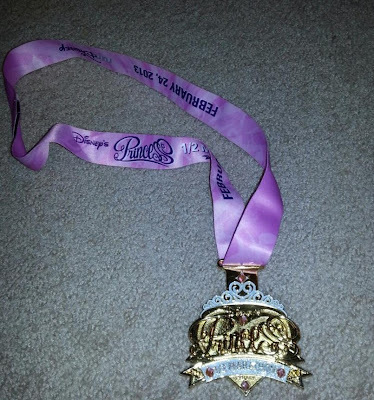 Disney was my first marathon and I didn't know what to expect, I just wanted to do it to see if I could and I did. 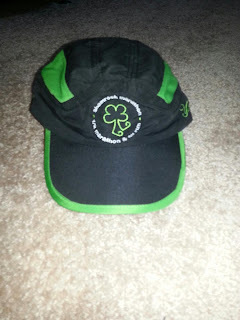 So I tried the Shamrock next to see if I could beat my WDW time, and I did. 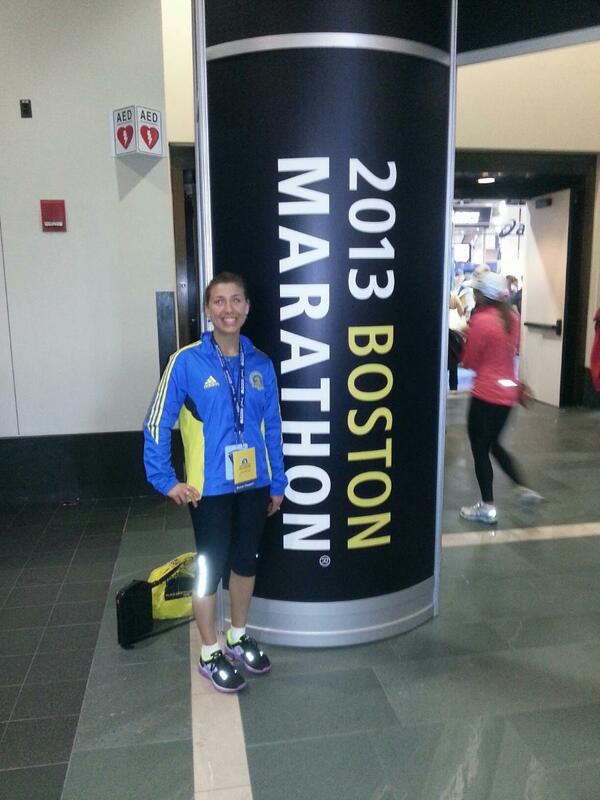 So when it came time for Boston, I was just grateful to be here and wasn't worrying about time. I really wasn't nervous. I didn't work myself up like I do on most races. I knew I wasn't going for a PR, I knew the hills would be challenging, and I knew I already completed two marathons and did well, I just wanted to take in the entire atmosphere. Taking all this into consideration, my expected time was around 4:30. Under normal circumstances I could do a full marathon under 4 hours, but I wanted to give myself much leeway on this race because of the intensity of the course! The day before, I was invited to take a tour of the course, but I declined. My friend however, did take the tour. After speaking to him afterwards, he said he was now nervous because he knows what to expect. I am the kind of runner who likes the unknown. If I actually see the challenges ahead of me (all the hills) I may get anxiety about it ( hello heartbreak hill, I did not want to see you prior to my race!). 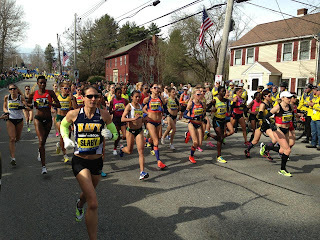 The pack of elite runner including Goucher and Flanagan: photo from my friend. In corral waiting to start. Of course it was very crowded at the startline. I had to weave in and out of a lot of people because the road was narrow. One bit of advice that EVERYONE says is to not start out too fast because you will regret it once you get to the hills. So I basically took it easy for the first half. I did stop at mile 8 to take my longsleeve shirt off because I was getting too warm. Unlike Disney, there was not a mile marker at every mile, ( at least I did not see one) but there was a water station at every mile after mile 2. I was carrying my own water bottle so I didn't have to stop at the stations. However, I was going through my own water pretty quickly so a lovely volunteer filled my personal bottle as I ran by. The first ten miles were very motivating. Normally I tend to be in my own little zone when I run and don't interact with the spectators, but this run was different. I had never seen so many specctators before. Little kids would be cheering us on and holding out their hands for high fives. 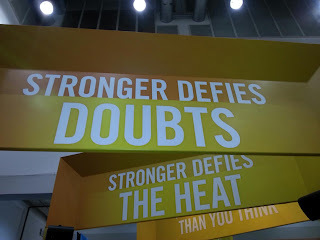 It actually motivated me more as I slapped their hands as I ran by! Other spectators would give us candy, icepops,oranges, and even the college students were handing out beer! ( none for me thanks, but I did have some gummie bears and sweedish fish) I recently read a post somewhere about how we've become a society that is so consumed with being sanitary and safe, always carrying our anti-bac with us, but yet when it comes to running, we will take food from starngers that other people have touched without thinging twice! Isn't this true! I guess at mile 15 it doesn't matter if someone else had their hand in the gummie bear bowl before you! Also the signs were motivating as well. Of course you see those typical race signs that say "Run Like You Stole Something", "You're Almost There", but the best one I saw was "You've Trained Longer Than Kim Kardashian's Marriage"! I relied on my Garmin for the most part. I was able to completed the half way point in exactly 2 hours at an average pace of 9 minute miles. I was feeling good because I was a head of my goal time, but knew the hills were still to come! 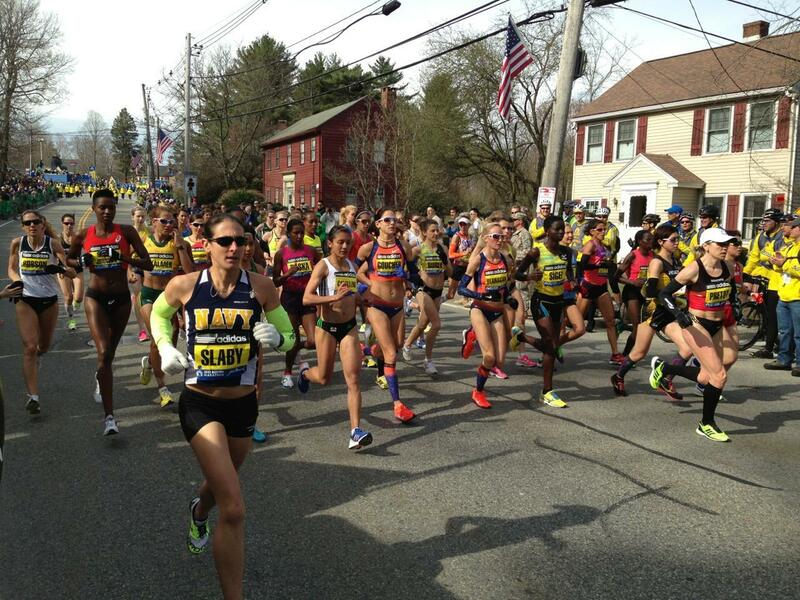 At this time, the runners were more spread out, everyone finding their own pace and the roads were wider. Eventhough we were spread out a little more, there were still so many people in front of me that I couldn't even see the hills until I got to them. As I was running, there were some rolling hills that I didn't think were bad. I remember seeing the sign that said Welcome to Newton, so I assume that these were the Newton hills that everyone talked about. It was a good thing I paced myself earlier so they weren't so bad. After the rolling hills, I came apon a steeper hill which I assumed was the infamouse Heart Break Hill. During the climb, I kept thinking "Is this the hill everyone was talking about?" "Was the incline going to get steeper?" As I ran down the other side, I saw a sign that said something like THE HEART BREAK IS OVER, I knew that I've completed the dreaded Heart Break Hill. 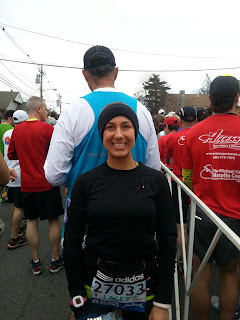 As I passed several people who were walking up the hill, I kept thinking to myself that I was so glad I listened to my body during the first half of the race and held back a little and didn't go too fast. After conquering HeartBreak Hill, I knew it was going to be mostly flat and I could pick up my pace the rest of the way. 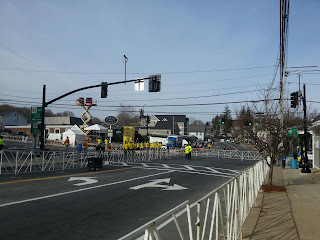 They say that you can see the Citgo sign for several miles and that indicates that you are almost to the finish line, but don't be fooled, it is further than you think. There was just as much crowd excitement the last several miles as there was the first several miles, if not more. I looked at my Garmin and it said I was at 3 and a half hours at mile 23. I knew I could do a 5K in less than 30 minutes, so I thought to myself "my new goal is to break 4 hours. That 4 and a half hour goal now went out the window! After I took that left on Boyleston street, I could see the finish line and I completely gave it all I had. I crossed the finish line at 2:44 pm with a time of 3 hours, 58 min. 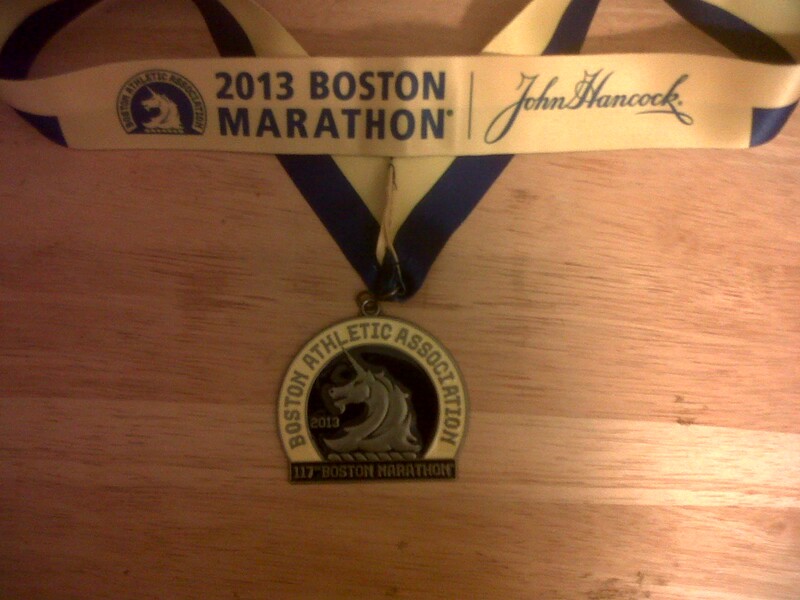 After receiving my medal, that is when I heard the first explosion. The first thought was that it was a cannon or fireworks or something to signify the finishing of the race, but obviously I knew there were many more runners to come, so I don't know why I thought that, but at that moment that seemed to be the only logical explanation of why that noise and smoke was made. A few seconds later there was another explosion immediately followed by the sounds of sirens. All this happened while we were in line getting medals, waters, snacks. At that time no one knew what was happening so we were told by race staff to keep moving along. It wasn't until we were walking back to our hotel in Copely Plaza, that we were aware of the tragedy that had just happened so close to us. 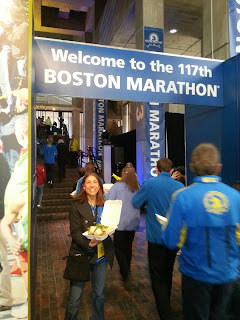 I realized that I crossed the finish line at 2:44pm and the first explosion happened at 2:50. I am so thankful that I finished with in those 6 minutes. I kept thinking about the friends I had made on the bus that were in my same corral because their goal was to finish in 4 hours. I don't know how to look them up, but I do hope they are safe. Like I said before, I didn't have a bag that was checked, so I was easily able to make it back to my hotel in a timely manner. I heard later that it took others a much longer time to navigate to were they needed to be and they were not able to collect their bags. Many of them were without wallets, cell phones and even car keys until this morning. After getting back to the hotel, I turned the news on because I didn't know what was going on! When I saw it on the news it was surreal. I didn;t realize the severity of it while I was standing there. All I wanted to do now was go to the airport and get home! We tried to get out of the hotel as soon as we could because we figured it would be a nightmare trying to get a cab. Once in the lobby, the bellhop informed us that there would be no cabs running. The roads were now shut down. Our only option was to roll our luggage several blocks to the subway. We would then have to change trains. luckily the one we needed to get to the airport was still running, when several others were shut down. We were lucky enough to get through Logan International before all the chaos started. I finally arrived at my final destination late last night. It was an emotional homecoming at the airport, seeing family and people I didn't even know clapping for me and hugging me as I entered the terminal. 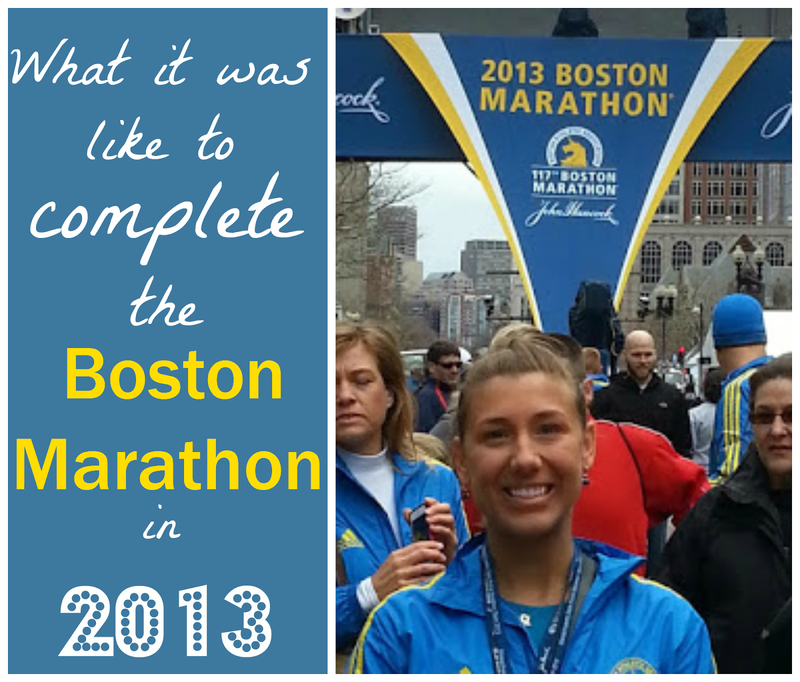 I do feel that I am proud of my accomplishment at Boston. However, I don't feel that it is right for me to celebrate that accomplishment while others experienced such tragedy. Because of this, I have such mixed feelings about the Boston Marathon. I didn't quite leave with the memories I was hoping for. One of my friends said it best " What a tragedy for many when it should have been nothing but a triumph for all!" I will post later on the specifics of the weekend. 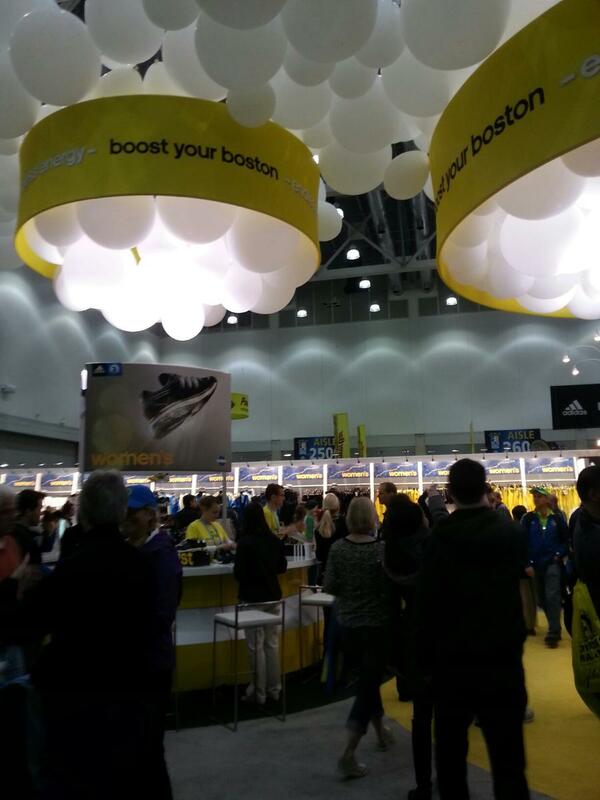 I was invited to several pre-race parties, including one for Runners World, and the expo was more than amazing! Please check back. We are all excited for the big day tomorrow. 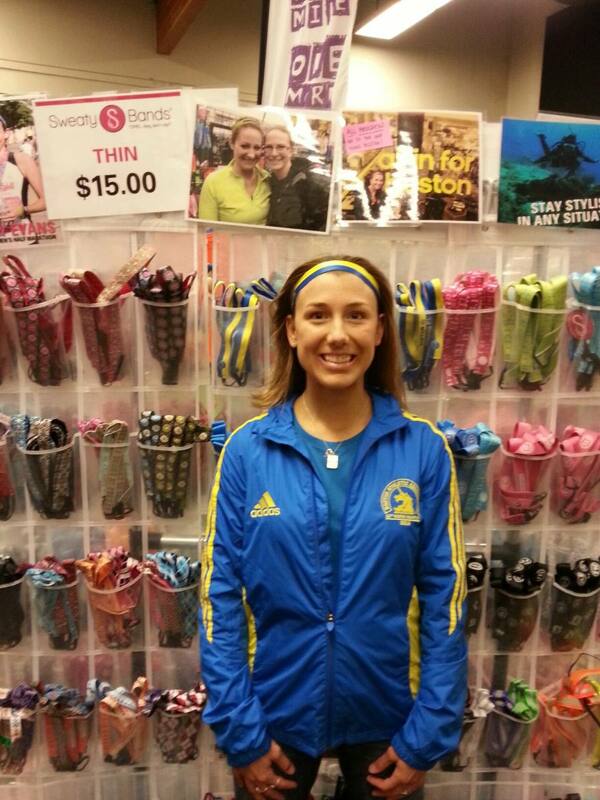 Lacey is currently in Boston getting ready for the Boston Marathon. We are all so excited for her. What an accomplishment this will be! Class. 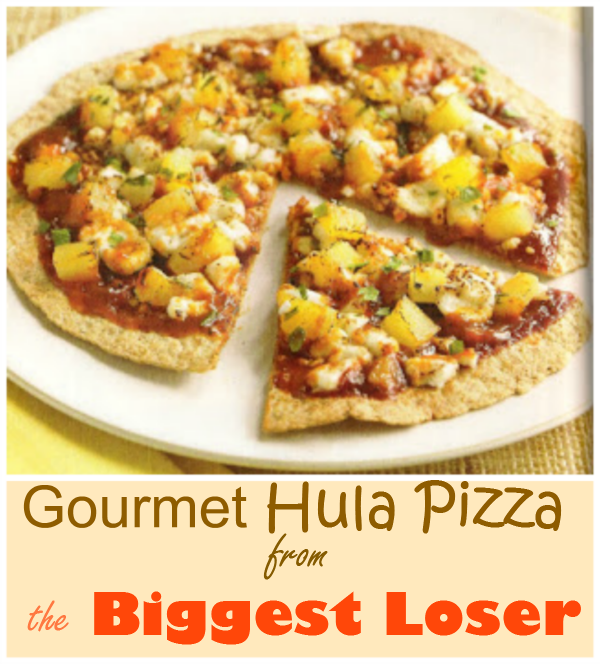 The Original source of the recipe was one of our Biggest Loser cookbooks (Love those cookbooks). I adapted it a bit. I believe the original recipe called for goat cheese, but I changed it to mozzarella so it would please more pallets! What an exciting weekend! My mom and I participated in the April Fools Race in Atlantic City on Saturday. We arrived Friday and settled in to our resort. We stayed at the Atlantic Club which was one of the host resorts for the race weekend. The Atlantic club is located at the Southern end of the Boardwalk. We lucked out and got an ocean view room with a whirlpool tub! I couldn’t believe it. This place was absolutely fabulous. After we got settled in, we had a great lunch at the Cornucopia Lunch Buffet located inside the resort. 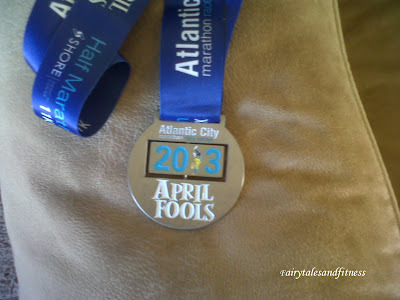 When we were finished, we were able to walk right outside the hotel and get the jitney and ride it to the Revel Resort. 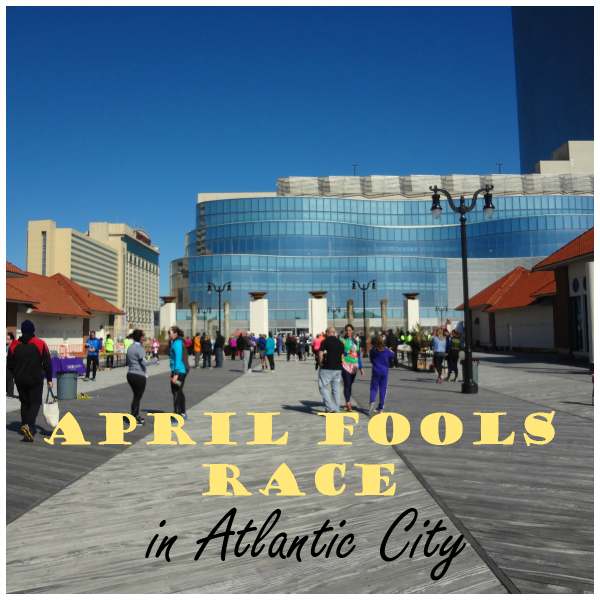 The Revel Resort is where we had to pick up our race bib and goodies. This would be where the race would start tomorrow and it was all the way at the Northern end of the Boardwalk. The Revel Resort is one of the newest resorts along the boardwalk. It was absolutely stunning. There was no race expo associated with this race series, so we just had to get in line for our race bib and then go to another table and pick up our race shirt. 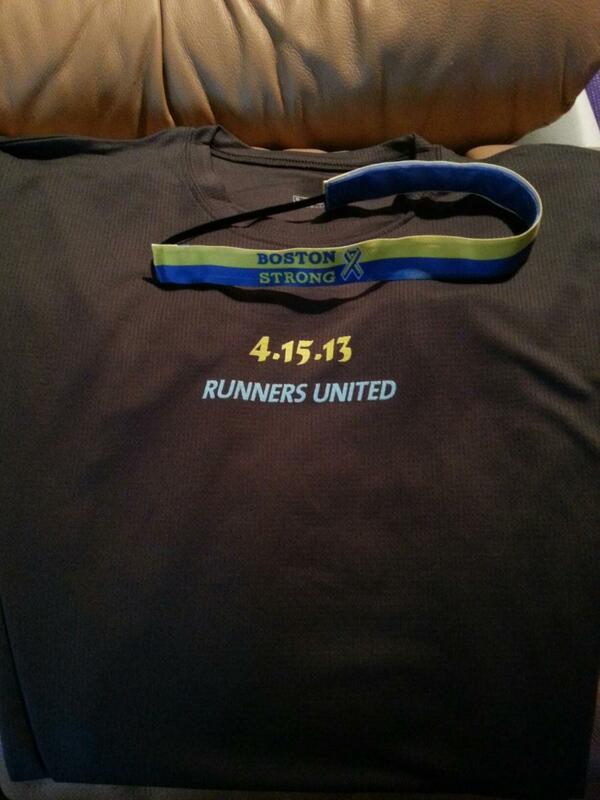 These shirts were one of the nicest race shirts we’ve seen so far. They were tech shirts and the women’s were fitted and v-neck. The men’s were a crew neck. We also got free parking passes so we could park in the Revel Resort parking garage the morning of the race. We were all set for the race tomorrow. Since we were already at the Revel, we couldn’t resist exploring the resort, so that’s what we did. We took a scenic walk along the boardwalk to go back to the Atlantic Club. We spent some time exploring this resort too. They had a fabulous pool and spa, a gift shop, and several yummy restaurants to choose from. We ate at one of them before retiring to our room for the evening. Having been use to Disney races, having this race start at 9:00am is quite unusual! 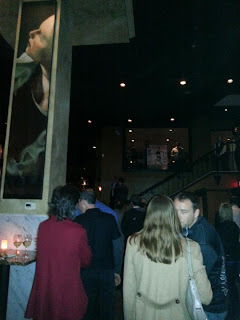 We had plenty of time to get ready and drive over to the Revel. 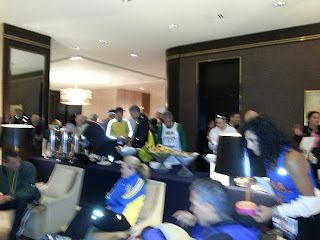 Once we got there, we waited in the lobby with the many other racers that were doing the 7K or 11K. The half marathon race would take place the following day. 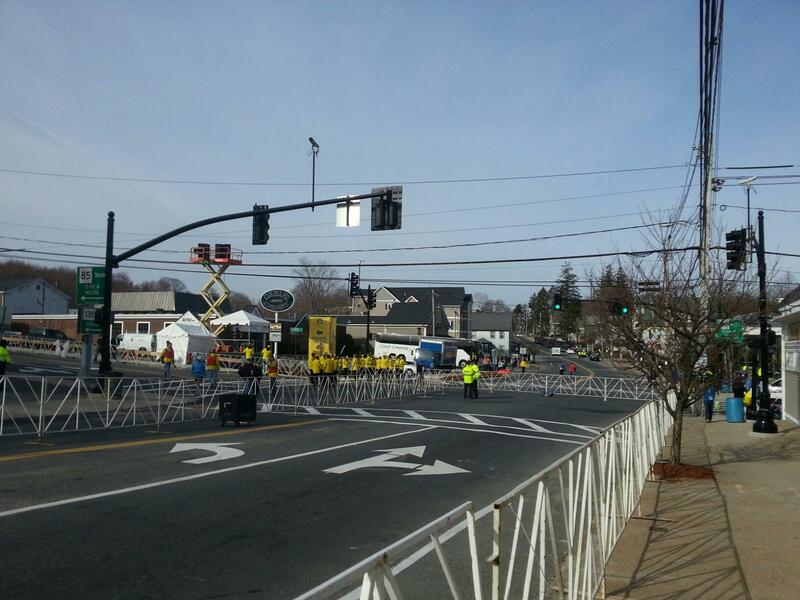 About 15 minutes till, they started calling people to make their way down the boardwalk to the start line. Once we were all there, the national Anthem played and we started right at 9:00am. The 7k racers and the 11K racers were all running at the same time. Those of us who were running the 7K had to run to a specific point on the boardwalk that was marked by a large blue flag and then turn around and run back to the finish line. 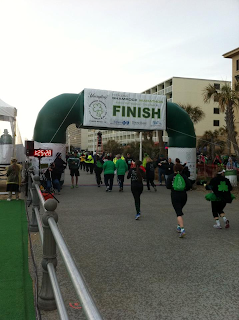 The 11K runners did the same thing, but their flag was further down the boardwalk. Runners were told before we started that if they felt they couldn’t complete the entire 11K, that they could turn around at the 7K flag but they had to tell the officials at the finish line. I don’t think this was a good idea because I don’t know how you could honestly keep an accurate account of who turned around early and who did not. My mom said she saw some 7K people turn even before the flag. I don’t know what they did about those people. I thought this was a great race. I liked that it was on the boardwalk the entire time. It made for a comfortable run. The one thing I thought was a little unusual was that the boardwalk was not closed down for the race. It was business as usual. 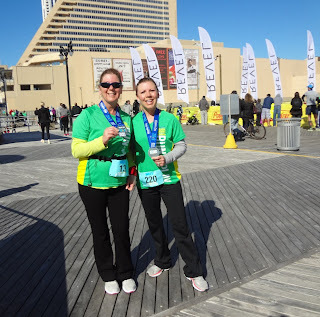 There was construction going on so we had to run around machines and scaffolding, people were walking and running on the boardwalk that were not participating in the race, and people were pushing strollers. For the most part, the stroller pushers knew enough to stay to the side. One of the worst complaints was that there were spectators who sat on the boardwalk benches smoking cigars and cigarettes. Every time we ran by one of them we wanted to hold our breath. Also, we could smell the fried foods the vendors were preparing that early in the morning. 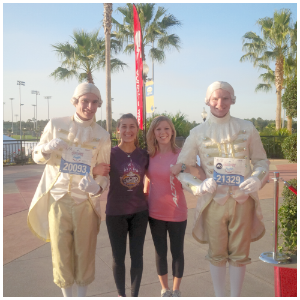 Smelling a funnel cake being made was definitely not a plus while running! Before the race, my mom and I pinned yellow ribbons to our backs so we could easily find each other from behind while we were running. I didn’t have to worry about my mom trying to find me; she was in front of me the whole time. As I made my way around the blue flag that marked the half way point, I noticed a lady that I saw earlier in the morning. She was talking to us as we made our way from the parking garage to the lobby of the Revel. I started to run and keep pace with her. I would slow down, and she would pass me, and then I would pass her. This went on like this probably until the last quarter mile of the race. I heard the announcer say that someone had just crossed the finish line in 43 minutes. I knew my goal for this race was to finish in less than 45 minutes so at that pointed I just sprinted the rest of the way and I ended up finishing in 44 minutes. For my first 7K, I was actually proud of my time. 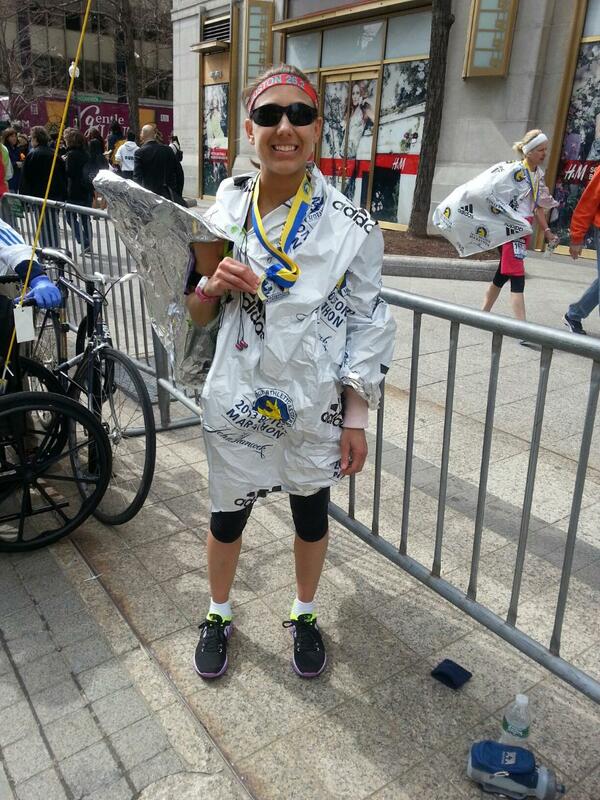 I was even prouder of my mom who finished in 42 minutes! She placed 7th in her age division and I placed 15th in my age division. I don’t think that was bad at all for our first time. 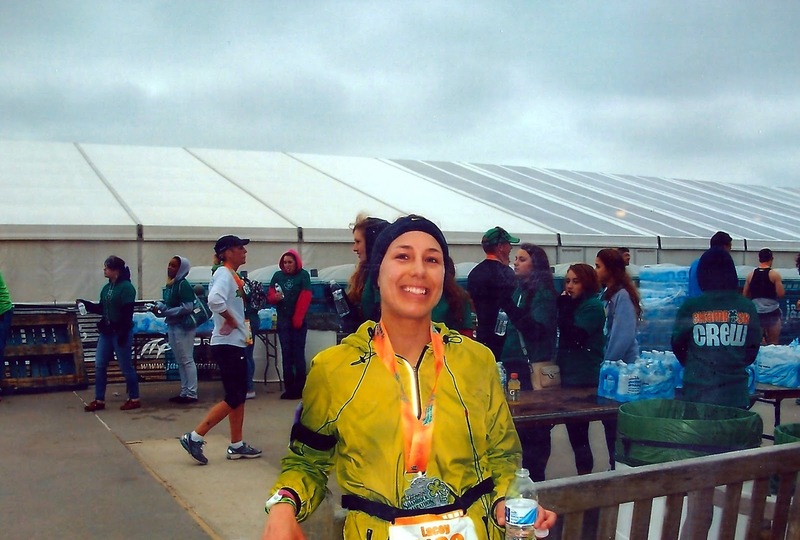 When I crossed the finish line I felt completely exhausted, but that exhaustion only lasted a minute. I got myself a Gatorade and I felt ready to go again. 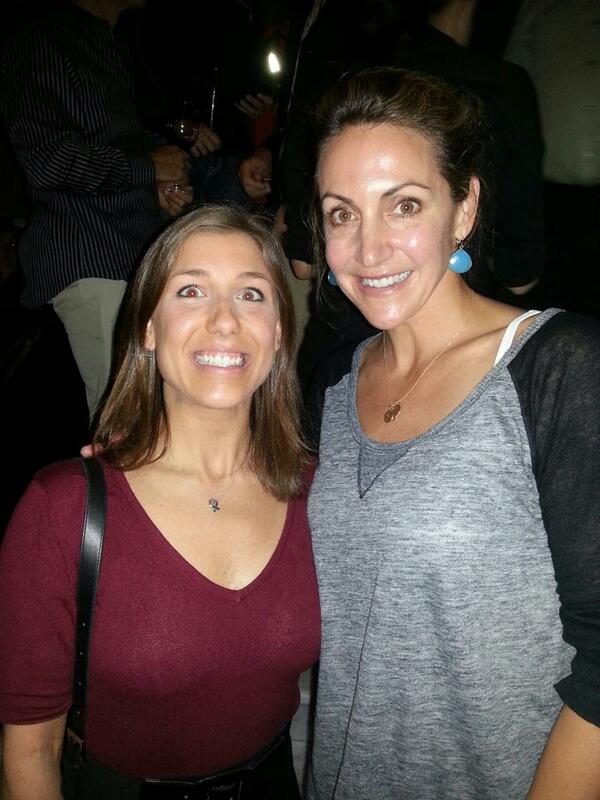 I did end up seeing the lady whom I passed and walked over to congratulate her and we talked for a few minutes. I did tell her I was pacing with her. Over by the ocean front there was a space set up for runners to get drinks, bananas, power bars, gummies, and soft pretzels. 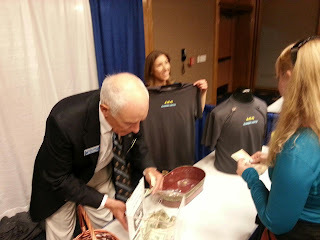 Not sure why they were offering soft pretzels, but it was a nice gesture. The best part was the free massages they were offering. We both got a massage while overlooking the ocean. It was a great ending to a great race. * We have a very exciting race coming up next week! I will keep this one short and sweet! 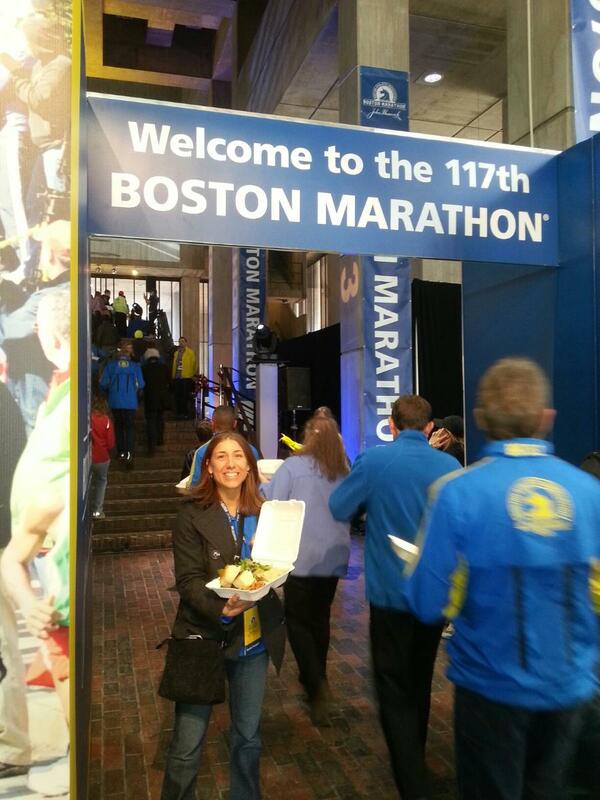 My mom came to visit me this weekend and to watch me run my second marathon. The night before the race we met my running group for a pasta party. The whole weekend it kept raining on and off. It was suppose to be cold and rainy for the Marathon on Sunday. It rained all night on Saturday. When I woke up on Sunday, it had stopped and it looked like it was drying up. I actually didn’t feel too bad outside. I chose to wear my compression capris, with a green tank top and matching green lined windbreaker(for St. Patty's day of course). I also had my head warmer and gloves. At the expo I ended up buying one of those belts that you put your gu in the loops and was able to put your race bib thru the hooks so you don't have to keep putting holes in your race tops. I have never run with this, but I thought I'd give it a try! We got to the start line, and it was colder than what I thought it was going to be, especially with the wind. I was glad to have brought my head warmer and gloves. I told my mom to meet me at mile twelve, just in case I would get too warm and I could give her any layers I didn't need any more. That certainly was not the case! I started out in corral 1, which I was happy about. I always feel like I will do better when I start out in corral one, because the clock time and your time is very close. Also, I don't have to weave in and out of a bunch of people to get my stride. As soon as I started, I thought I had to go to the bathroom. I didn’t know if it was just nerves, or because it was so cold and windy. I stopped thinking about it so much and put my focus toward the road and my music. And within two miles, that feeling went away. So my goal the whole time was to beat my time for Disney, which was 4 hours. I kept saying to myself, all you need to do is a minute better and you got it! This race I actually had a GPS to gage my pace. The one screen has time and distance, and the other one has calories and pace. The first half of the marathon was going very well. 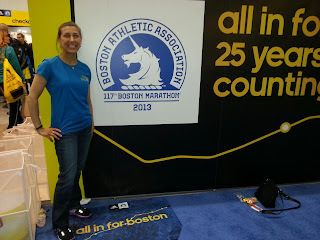 I was afraid to look at my pace, in fear that I would be going too fast and feel like I would need to slow down, so I wouldn't hit that wall that runners always talk about. 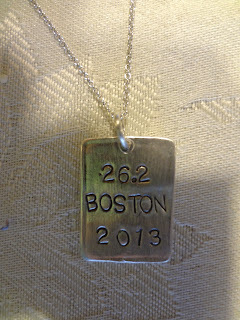 I looked at my watch, passing mile 13.1 and realized that had I been doing the half marathon. I would have PR at 1:46. I was feeling pretty good. I thought to myself, there is no way of being able to keep this pace for another 13.1. Also, another thing that scared me was not being far behind the 3:35 pacer the whole race. But I even surprised myself for the second half. I ended up doing only a minute more, finishing in 1:47. 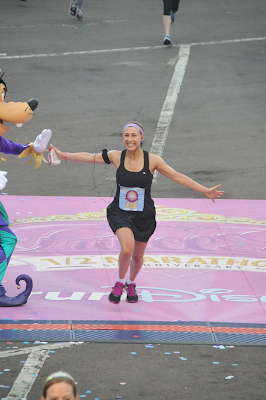 It was such a great feeling, crossing the finish line and seeing my mom and friends cheering me on! 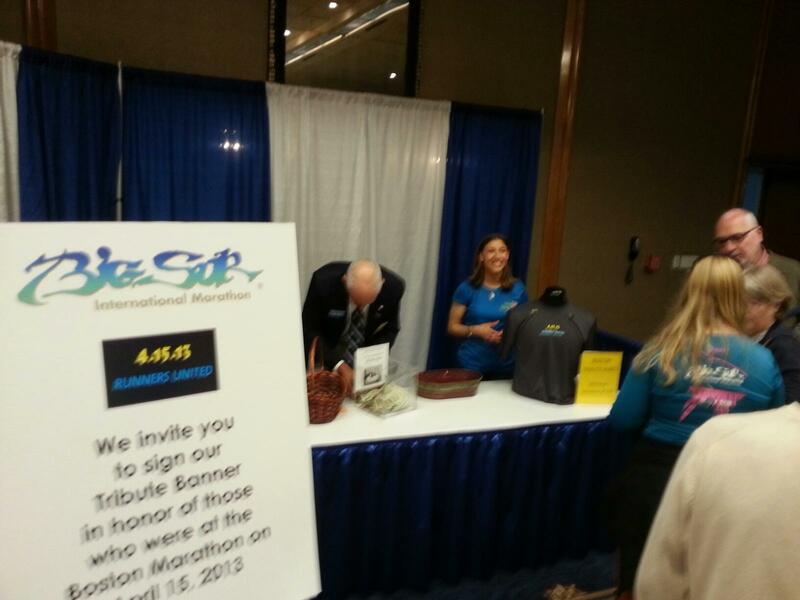 I’m looking forward to signing up for my next race. But in the meantime, I will relax a bit and enjoy my accomplishment! 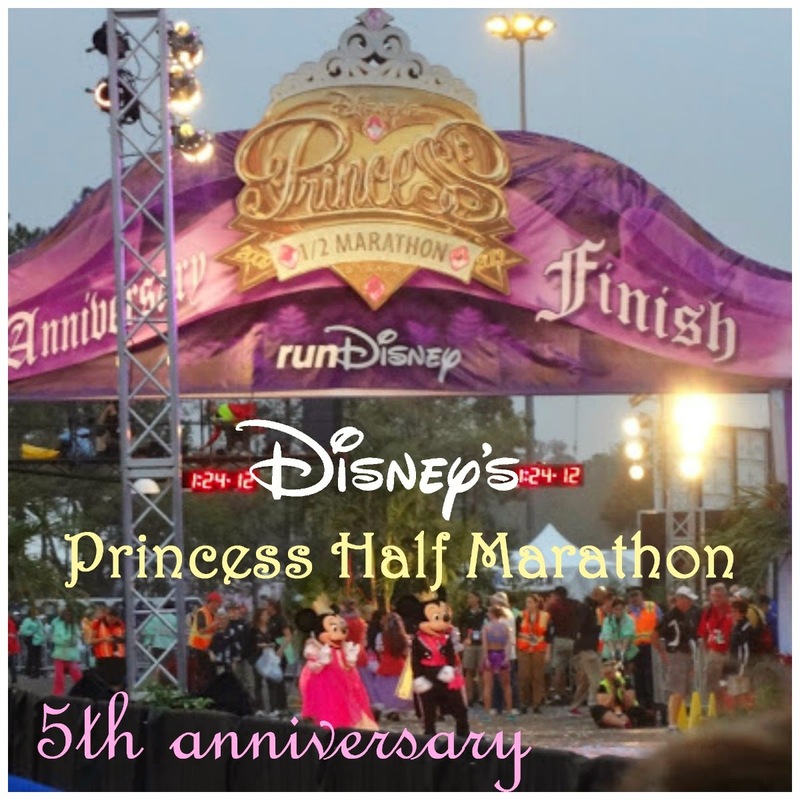 This was my second time running Disney's Princess half marathon. 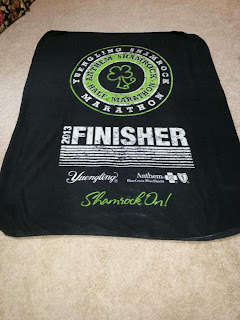 After the full Marathon I completed there last month, I thought this was going to be a much easier race. Afterall, it's only half the distance. It was another warm weekend at Disney when I woke up at 3 am. The outfit I chose was a black polka dot skirt with a black tank top. 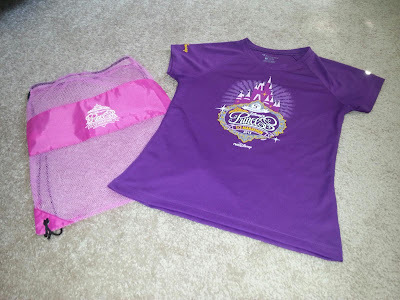 Now I know this is the Princess Race and there are many people that dress up as princesses with tiaras, but for me, I always want to be comfortable when running, so I chose not to go with any costumes. I thought the skirt was enough. I got on the bus at 4 am. The bus ride from Old Key West Resort was not that far from where we needed to be, but there was so much traffic in the morning, which took forever to get dropped off at the Epcot parking lot. After getting off the bus, it was a good mile or so we had to walk to the start. We were suppose to be in our corrals by 5 am if we were in the first corral. So I had a good warm up before the race, because I had to jog to get to my spot. I got there just in time when the National Anthem was being sung. It was a bit rushing around, but it wasn't too bad. By getting there at the last minute, I had no time to think about the race I was about to run. I just had to push play on my Ipod to and start my GPS and I was on my way! The race started out great. I was making really good time I thought around the 5k mark. 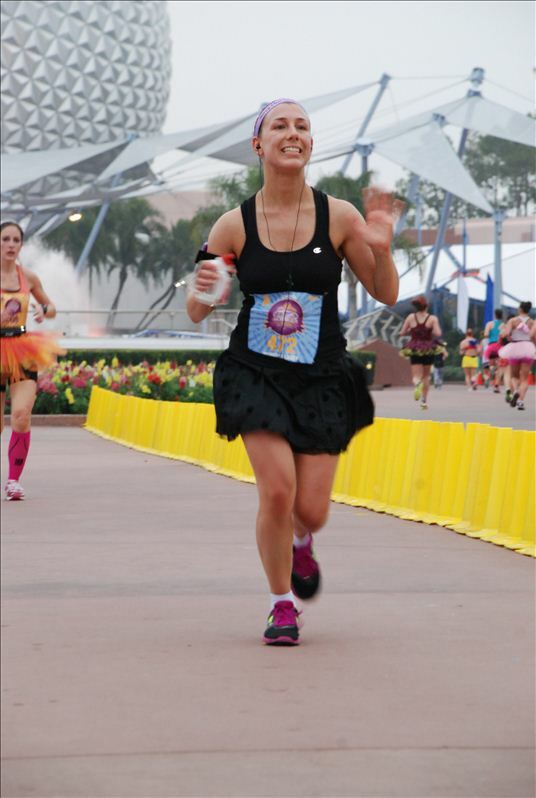 Then I was entering Magic Kingdom about mile 5. I gave my family a wave on Main St. where they planned to see me. I ran around the whole park and through Cinderella's Castle, hoping for a great pic from the camera guy (but was not that lucky after seeing my pics). After leaving the Magic Kingdom there was quite of bit of highway that we had to run to get to Epcot. We ran around the countries in Epcot and I knew I was getting closer to the finish, since I just ran the course the day before on the Family 5 K Race. After rounding Spaceship Earth I knew the end was near. 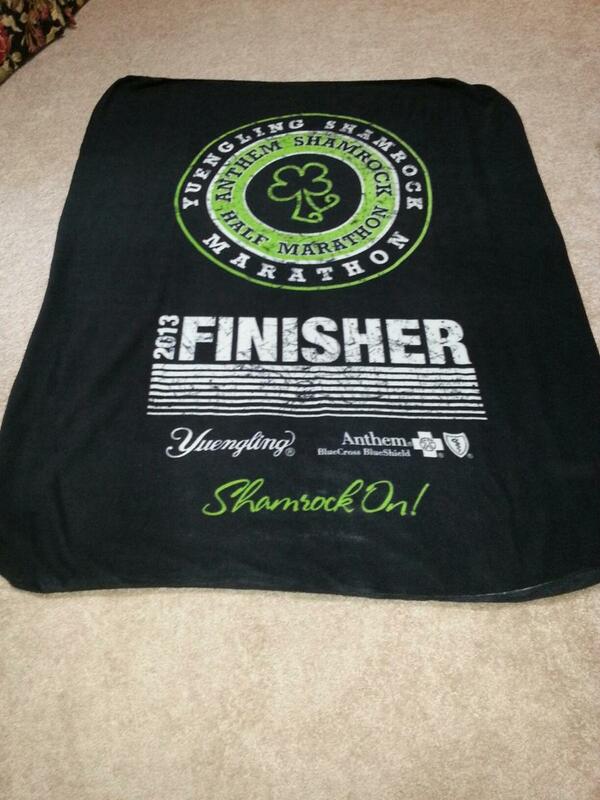 In addition, to the 5k race, this was also the same ending for the full Marathon that I ran the month prior. This was the 2nd Princess Race I ran. I did the race in 2012 in 1:57 so if I beat that, I would be happy. But in the back of my mind, I was hoping to do better than 1:50, which was what I ran the Rock and Roll Half Marathon in Virginia Beach. If I would be able to do that, it would be a new PR for me. 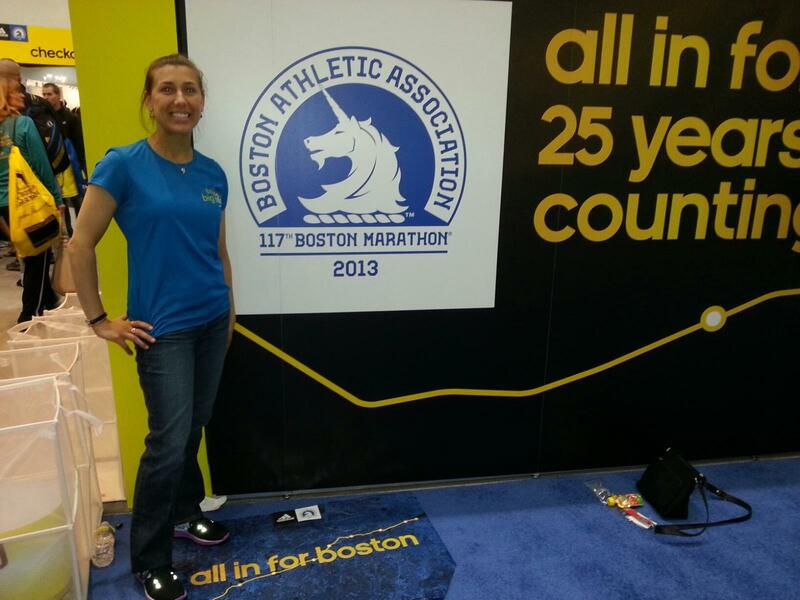 I did feel like running the full and the half so close together, allowed me to remember the end of the course well. I knew when to kick it into full gear and just go! And that's what I did. Finishing in 1:49. Even though it was only by a minute, it was still a new PR for me! the day before my Half Marathon. Because it was so hot sitting in the sun at the ball game all afternoon, I did feel a bit dehydrated. But I drank plenty of water the rest of the day, and felt just fine the morning of the race. Another great race Disney put on! 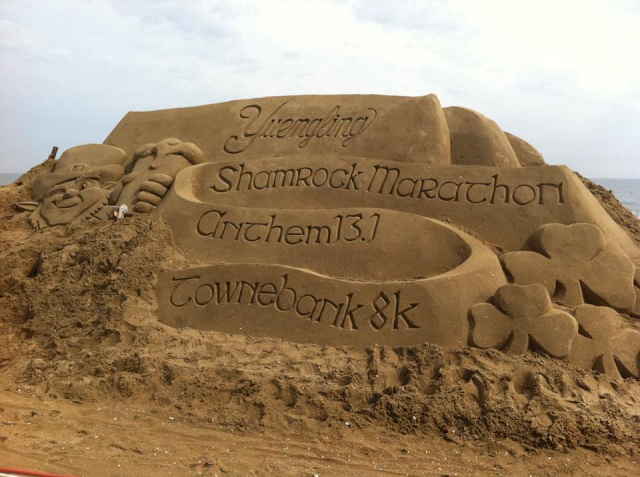 Be sure to always stay well hydrated the day before the race, especially in warm weather, or you will regret it. Drink before you are thirsty because by the time you ARE thirsty, you are already dehydrated. 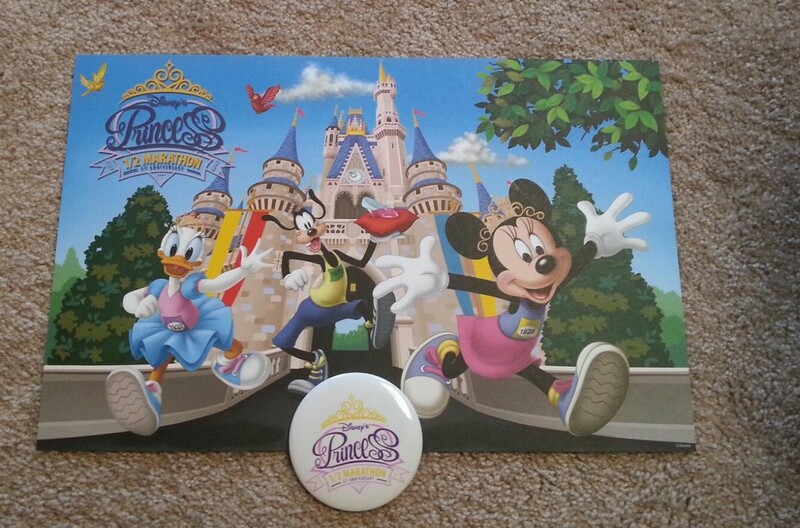 The day after the race I wore my pin to the theme park and lost it on a roller coaster. Run Disney was nice enough to send me a new one!